The Friends' principal source of income with which to support library programs and purchase books and capital improvements is the monthly used book sale. The sales have a wide variety of fiction and non-fiction, reference books, history, biography, children's books, paperbacks, books on tape and rare editions. All of the books have been donated to the Friends for the book sales. 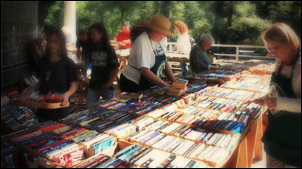 Sales are held at the Alpharetta Library on the first Saturday of each month from 10am to 4pm. Refer to our Events and Calendars page for current dates. How May I Donate Books? Books may be donated at two locations: at the Alpharetta Library or at the Roswell Recycling Center located at the corner of Maxwell and Hembree Rd. Donations are picked up daily by our volunteers. All donations are tax-deductible since we are a 501C3 organization. We accept clean books. Please do not donate books that have been stored in a damp location. Please, if you are donating textbooks, we don't accept textbooks published before 2012 as they're out of date. Do not donate any book that is old, torn, water damaged or mildewed. We accept old reference books and magazines. We accept magazines that are suitable for school classrooms. Otherwise, we gladly accept books that will help raise money for our library. All funds raised go toward our goals of reaching the needs of our library and the citizens. 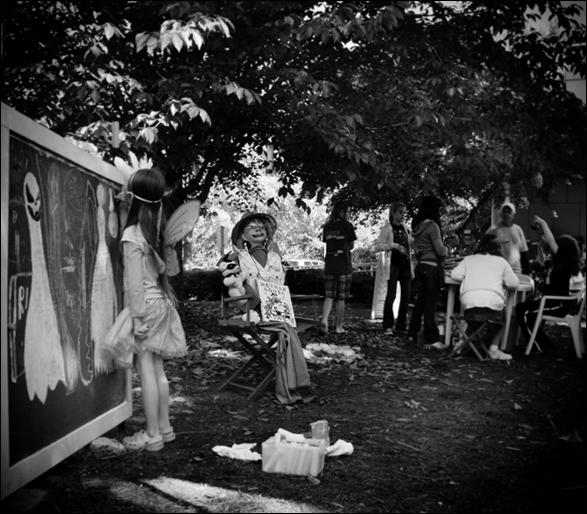 painting pumpkin gourds, making chalk art, and fashioning a scare crow.